I cannot believe that my last post was in February! So sorry for the MIA! I blame it on my job, which requires so much attention and leaves very little time for being creative! I am daily flying back and forth between my home and Copenhagen (sometimes spending the nights there), so there is no real energy for making cards. Just the usual for birthdays and stuff, but no time to blog and share! Today was one of the good days - up early to work a bit in the garden, then I created a hydrangea wreath for the front door, made plum jams (3 kinds with rosemary, chili & liquorice) and finally I found a bit of time for making one card. Helping my mojo ( I am a bit rusty!) this time was this Moxie Challenge Foxy theme. Go check it out! ;) Aren't Foxes just the cutes!? Stamps: Hero Arts E5465 Fox, Lawn Fawn Critters in the Forest. And I leave you with a collage from this fab Late Summer Day! Enkelt og lækkert. Ja jobbet har det jo med at stjæle vores tid. =0) Dejligt at se noget nyt fra din hånd - må se om jeg også kan nå at lave noget med ræve. Du har bestemt ikke glemt hvordan man laver kort. Love it!! So HAPPY to see you back Pia!! This FABULOUS card just makes me SMILE! so good to see you back, Pia! cute card! 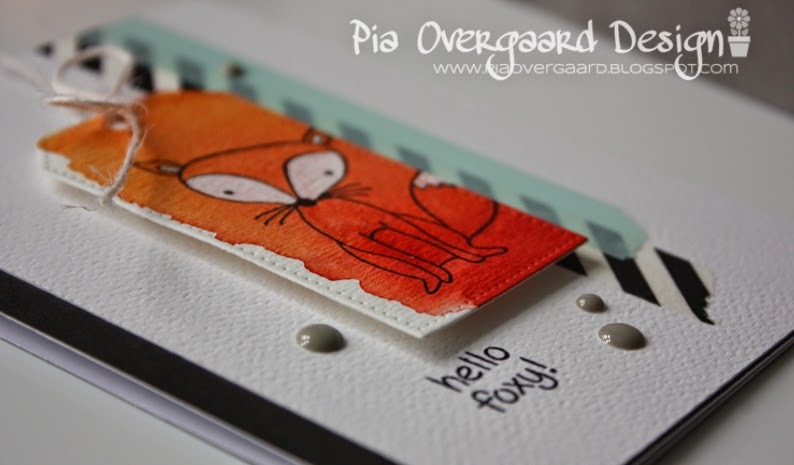 Gorgeous card Pia and good to see you back. Looks like you have had a busy day, loved seeing your photographs! Super, super awesome card! 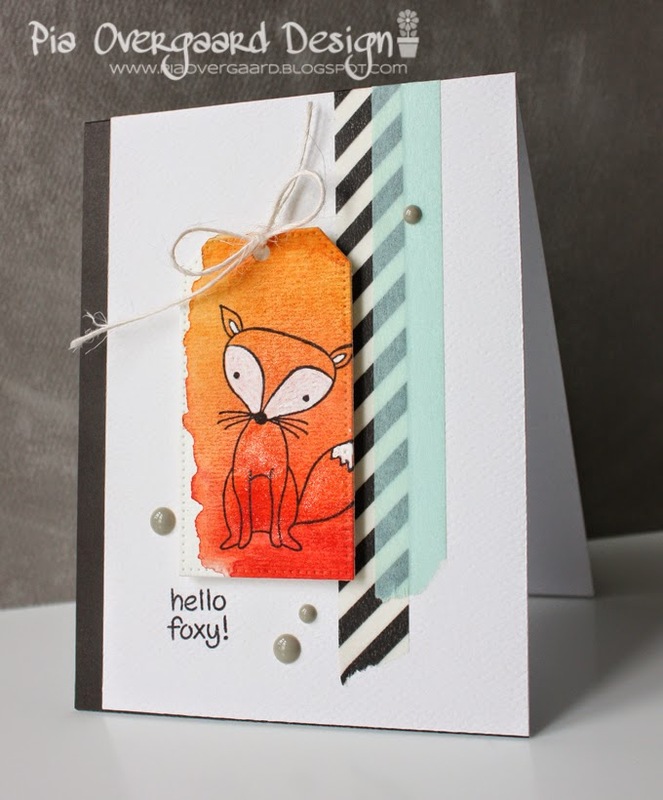 Love the tag and that washi tape - such a powerful and effective combination!! I think you have done a really great job on this card!! Love your design! The colors are so striking. I love productive days too! Have a great week!! Love this! The watercoloring is so cool!